How Can I Fit In at My New Job and Be a Success? Below: Learn the top five tips to become a success in your new job. Starting a new job can be really overwhelming. Between learning the ins and outs of the role, and remembering the names of all the new faces, it can be a time filled with pressure. In today’s Pivot HR911 post, we help a new hire adjust during their first weeks so they can fit in and be a success with a new employer. Employers, you will want to read this to pick up ideas on ways you can support your new hires in their transition to your team, and recognize when they are trying to make a good impression. Dear Pivot: I’m New at My Job. How Can I Be a Success? We received an email from a Pivot HR911 reader who is thrilled to start his new job. It’s a solid career-growth opportunity with a leading company in the tech industry. Unsurprisingly, he’s a little nervous and he wants to make a good impression with his new boss and team. As our reader knows, the first 90 days in a new job can be a critical time. Not only are you trying to learn the role and accompanying responsibilities, get used to the day to day workflow, and fit into the corporate culture, you’re also trying to get to know your co-workers and establish a rapport with your manager. And, you’re doing all of this under the pressure of successfully passing your probationary period. Is there a way to navigate this critical time in a way that sets you up for greatness? Anyone can make the most of the first few months on the job if they take the right steps. To help answer our reader, we turn to Jack, a mid-level accountant who was recently hired at a local accounting firm. Jack intended to fit in quickly and make a good impression, so he began his first week as he meant to go on: being personable, helpful, and ready to impress. On his first day, Jack made a point of introducing himself to all of the support staff, not just the partners. He took the time to shake their hands and begin learning their names. During the first week, he also ordered muffins and coffee for the entire office to be delivered on Friday morning. These two actions helped to create a memorable impression with his new team. He stood out for his generosity and friendliness. Next, Jack went to work inviting various team members to coffee or lunch. He didn’t just meet with his fellow partners: he also treated his assistant to lunch. While he was interested in asking his colleagues about fitting into the firm’s culture, he really focused on getting to know them and building genuine relationships with them. After each meeting, Jack would be sure to stop by their desks in the following days for a quick chat and to offer his help if they needed it. Finally, Jack requested weekly check-ins with his manager. No longer than ten minutes, Jack asked for these quick debriefs as a way to get feedback on his progress. This showed his manager that Jack was eager to do well and that he was willing to take the initiative to do so. Jack learned a lot from his coworkers and manager during his first 90 days. Because he’d made fast connections with people, they remembered his offer for help and took him up on it. He was able to assist a senior partner with a project that gave Jack good exposure and a chance to show off his skills. And he was able to solidify his relationship with that partner. Jack passed his probationary period with flying colours. He also experienced high levels of job satisfaction due to his budding relationships with his colleagues, and assimilation into the company’s culture. There Are Five Things You Can Do to Succeed At Work In the First 90 Days. 1. Introduce yourself: this requires coming out of your shell, something that might be easier for some than others. Jack was comfortable introducing himself in person. 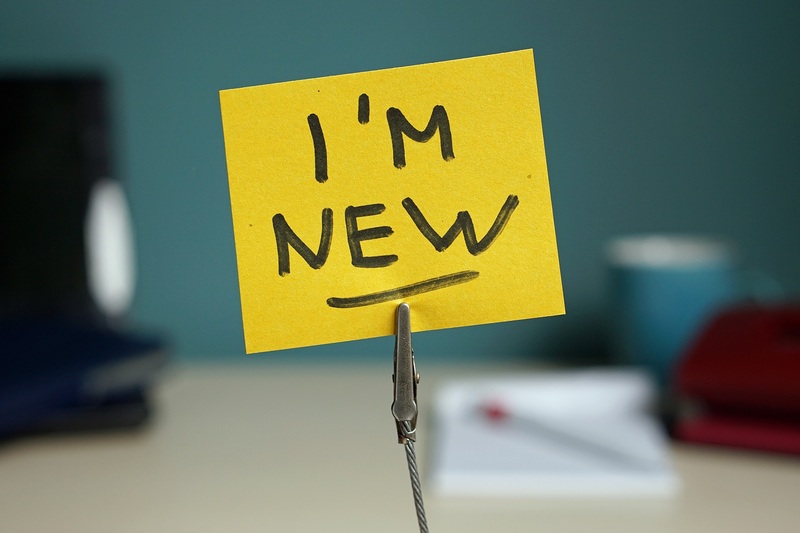 While we believe face-to-face introductions are best, you could also send an email to your new colleagues introducing yourself if that’s less intimidating. Then, you can follow that up by meeting people one-on-one in your first few weeks. 2. Snacks are always welcome: Jack ordered breakfast treats for the office. You could bring in home-baked goods, or put a box of chocolates with a little note in a common area. It doesn’t have to be a grand gesture, but bringing food a nice way to make an impression with your new colleagues. And who doesn’t love snacks? Just be sure to check with HR if there are any allergies among the staff first. 3. Invite your co-workers out: Jack took his new colleagues for lunch and coffee dates as a way to build rapport with them. This is a great idea. Even if you only ask one friendly colleague to join you, we know this will vastly improve your chances of making a good connection and get some insider knowledge about your new workplace. 4. Meet regularly with the boss: Yes, your new manager is likely very busy. But as Jack did, ask that these meetings be short, no more than 15 minutes, and held weekly. Real-time feedback is much more useful than waiting until your probationary review – by then it’s too late to make adjustments. Your boss will likely be surprised and delighted by your initiative. Come prepared with questions, ideas and observations to add to the discussion. 5. Be approachable and helpful: Jack offered to help, and he was rewarded with opportunities that accelerated his learning and gave him a chance to showcase his skills. Plus, he proved he’s a team player. These are all wins that he achieved by simply saying yes to a coworker in need. We wish our reader, and anyone else starting a new job, all the best. We know these five tips will go a long way to ensuring success during the first 90 days. Do you have any tips yourself? Let us know! If you would like to submit a Pivot HR911 question for us to answer, please email us at info@pivothrservices.ca.